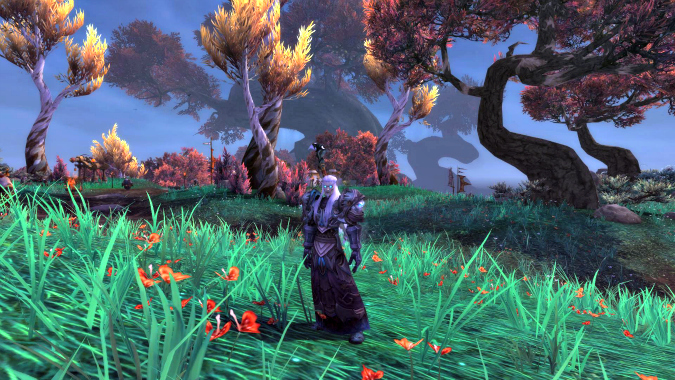 In my previous column I went over the basics of how AOE for all three Death Knight specs was shaping up in the Legion alpha thus far. Given that my guess about talents seeing a massive overhaul came true (less than 24 hours after the article went live! ), it’s time to turn our attention to how each baseline spec’s rotation seems to be shaping up. As always, remember: We’re months away from any serious tuning changes, and most content at this point is likely to see substantial changes. Additionally, given that both talents and Artifact traits are large topics unto themselves, I’ll be trying to minimize how much I mention them here. With that preamble out of the way, let’s dive right into it. Blood has seen fairly substantial changes to its baseline rotation. First, we have the addition of three abilities that everyone should familiarize themselves with. Death’s Caress is a ranged attack that costs one rune, deals minor damage, has no cooldown, and applies Blood Plague to the target. Marrowrend is an ability that costs two runes and applies stacks of Bone Shield to the casting Death Knight. The intention here appears to be a design that turns Bone Shield into a longer duration damage reduction tool versus something like Shield of the Righteous, albeit at a reduced effect. Completing this trio is the return of an ability that Blood has not seen in some time: Blood Strike. This ability now applies Blood Plague and also generates 10 bonus runic power when used — meaning that a rune spent on Blood Strike generates twice the amount of runic power that it usually would. As I noted before, Blood Boil’s role in the spec seems to subject to heavy marginalization. Both Blood Strike and Death’s Caress apply Blood Plague, the former of which is part of both our single-target and AOE rotations — this means that Blood Boil’s role as a disease refresher has become redundant. Additionally, Crimson Scourge no longer affects Blood Boil and the lion’s share of our AOE damage seems to be designed around strategically placing Death and Decay for use with Blood Strike. In short: Outside of spreading diseases to freshly streaming adds, Blood Boil currently seems destined for minimal usage within the spec’s usual parameters. Finally, we have Death Strike. In one manner, Death Strike has reverted back to its previous incarnation whereby its healing is now based on damage taken within a specific frame of time — six seconds to be precise. This is in contrast to Warlords of Draenor, where Death Strike’s healing has been dependent on Attack Power before being subject to other modifiers. The key reason for this change is easy to guess: Resolve as a mechanic is being removed from Tanks, which means that Active Mitigation tools need new ways (or in Death Strike’s case, a reversion to old ways) to scale with incoming damage. In another aspect however, Death Strike is seeing an unprecedented change: It now costs runic power rather than runes, and has replaced Death Coil for Blood as its primary runic power dump. The two reasons behind this are relatively easy to guess — the first being that having Death Strike cost runes with the new system would likely have resulted in a rotation that would largely have devolved into mindless spam for uninformed players (regardless of tuning), while the second appears to be a design goal that reduces how often Active Mitigation abilities are able to be utilized within a given time period. What does this mean when put together? Blood’s intended rotation seems to juggle between Marrowrend (for the sake of maintaining Bone Shield) and Blood Strike on rune usage, whilst using Death Strike as its runic power dump. Thus the intent is for players to judge between when they’d prefer more Death Strikes as a reactive form of mitigation and when it is more appropriate to have Bone Shield up for proactive reasons. The loss of Death Coil as a ranged attack, combined with Blood Boil’s seeming banishment into obscurity has necessitated the addition of a new ranged pickup tool outside of taunts — Death’s Caress fills this role currently. Finally, Blood has seen a substantial reduction in the amount of cooldowns that it possesses — Rune Tap, Empower Rune Weapon, and Icebound Fortitude have been removed from the spec, Bone Shield is now a semi rotational tool tied to Marrowrend, and Death Pact no longer exists as a talent. Compared to other Death Knight specs, Frost has seen the least amount of change to its core rotational system. Obliterate, Frost Strike and Howling Blast continue to serve as the basis of the spec, while Pillar of Frost remains a powerful, short cooldown. Furthermore, Empower Rune Weapon, a staple of every Death Knight spec up till Legion, now exists solely in the Frost Death Knight arsenal. So what has changed? To begin with, there’s the fact that Two-Handed Frost no longer exists as its own specialization, thus there’s no longer two separate rotations with varying uses of these abilities according to weapon type. Howling Blast’s position as our primary AOE ability has been greatly diminished. To compensate for this, Rime now increases the damage of the free Howling Blast it generates by a whopping 200%, meaning that utilizing Howling Blast within Rime procs is still an intended part of Frost’s rotation. In addition Frost Fever now has a chance to grant runic power whenever it ticks — this means that Frost DKs can expect to see sudden spikes of runic power being available to utilize on Frost Strike, especially in situations where the disease is ticking on multiple targets. Moving on, Killing Machine has seen one major change in Legion: It no longer affects Frost Strike. This means that, outside of it overwriting itself, there is no longer any risk of utilizing the proc on the “wrong” strike (quotations because you should all know why this is a fallacy in the Warlords context!). Finally, Frost loses Outbreak, Blood Boil, and Death and Decay from its toolkit. This means that the emphasis on the synergy between Obliterate, Howling Blast, and Frost Strike is increased even further now. Thus, Frost will still place an emphasis on abilities that players are familiar with for single-target usage. With proper tuning, there may even be reason to pool runes and try to align Obliterate with Killing Machine procs — though this doesn’t solve all of Killing Machine’s problems, which I intend to offer feedback on! Finally, it is worth noting that Frost’s current talent layout seems to have several options for AOE abilities and also some potentially interesting resource generation tools. 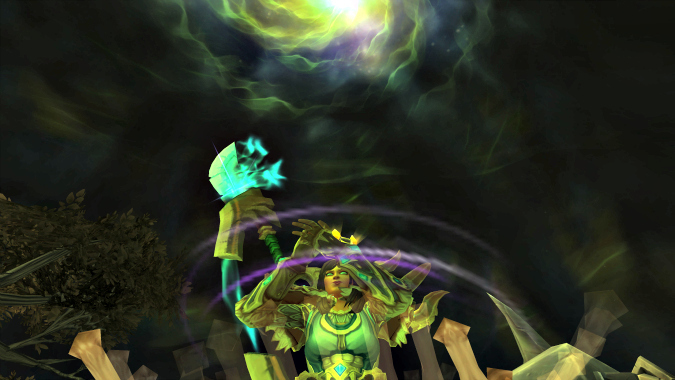 With several brand new mechanics and retooling of other abilities, Unholy has seen a large number of changes in Legion. Superficially, names such as Scourge Strike, Festering Strike, Death Coil, and Dark Transformation may seem familiar, but their functionality has seen degrees of change that, comparatively speaking, eclipse those of Frost. Dark Transformation, for example, is now a one-minute DPS cooldown with a 20-second duration, while the Shadow Infusion mechanic that we associate with Death Coil has been retooled as a new talent. As I noted in my last column, Unholy’s new disease is Virulent Plague. Because its application and ability to be spread is solely tied to Outbreak, the role occupied by Festering Strike on live would appear to have become redundant — after all, why extend the duration of a disease that can be reapplied every six seconds and spreads itself automatically? Enter: Festering Wound, the new mechanic that Legion introduces to Unholy Death Knights. The basis of Festering Wound is a stacking debuff that is predominantly applied by Festering Strike and then “popped” by Scourge Strike to cause additional damage and generate additional runic power per stack of Festering Wound that is popped. Several talents in the Unholy tree can affect both the frequency of Festering Wound application, the maximum number of applicable stacks of the debuff, the manner in which the debuff is applied and, of course, the ways in which it can be detonated. 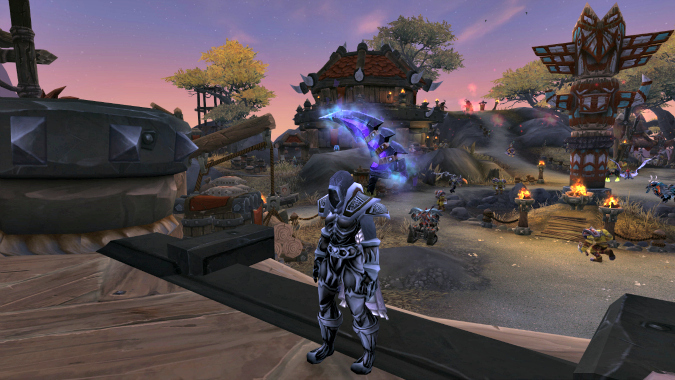 Out of all three Death Knight talent trees, it’s fairly easy to discern that the general theme of the spec appears to be split three ways: A focus on undead minions (which are enhanced and empowered by an entire column of talents), on DOT-centric gameplay (which is emphasized in another column), and on the Festering Wound mechanic. The most noticeable of these changes, on the player end, will likely be related to minions — while Timmy the ghoul remains our mainstay pet, he can be further transformed into Dennis the Abomination. Gary the Gargoyle, in the meantime, has the potential to give way to Mildred the Val’kyr thanks to the Dark Arbiter talent. Oh yeah, and I did just decide to take charge and give names to our new minions — learn them, love them! To round things off, Unholy has lost access Blood Boil and Empower Rune Weapon from its toolkit. Soul Reaper has also become a talent available exclusively to Unholy, with its functionality as an execute having been replaced by the fact that it now largely interacts with Festering Wounds. My goal with today’s column has largely been aimed at discussing the intent behind various rotational changes before delving into an analysis — don’t think a hefty analysis doesn’t already exist though! Over the coming weeks, I plan to submit a large amount of feedback on the official alpha forums, which I’ll be sure to inform you of as well. For now though, I wish all of you some very happy holidays and a wonderful new year to come.